Just wanted to share this wild photo from my brother Steve and his wife Youngjoo. They're visiting family in South Korea and are visited the southern region, which is much more agricultural and quiet that Seoul. 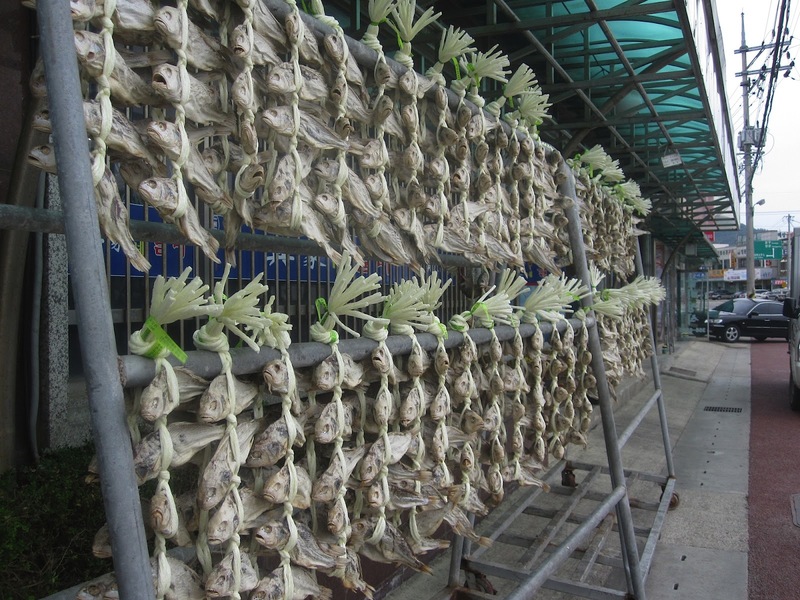 This is a rack of whole fish drying in the sun and air, getting nice and dessicated, waiting for their day to flavor a broth or fill a dumpling.